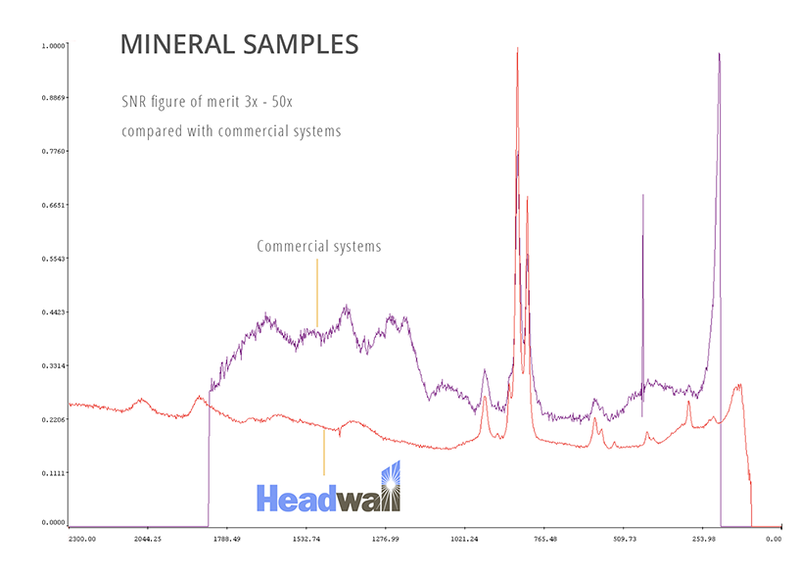 Headwall's Raman spectrometers provide exceptionally high signal-to-noise efficiency and signal throughput. They are based on a patented aberration-corrected, all-reflective design using Headwall's own diffraction gratings. Aberration-corrected diffractive technology enables the use of large fiber bundles within the spectrometer. Sampling of larger target areas is thus possible while maintaining enhanced signal integrity. Proprietary resonance domain 'one order' holographic gratings assure that the maximum amount of diffracted light energy is contained within this single dispersed order. The gratings are designed and manufactured by Headwall in sterile, clean-room environments. They are designed specifically for Raman applications requiring high throughput. This allows for spectrometers having very high diffraction efficiencies that are also devoid of any multiple diffracted-order stray light. Unique to Raman spectroscopy is its ability to measure samples contained in plastic bags or glass containers. Over the tall entrance aperture, a wide assortment of fibers or bundles can be arranged, each containing calibrated light-source signals, excitation light sources, and several process monitoring points. Single fiber, multiple fiber, and multi-channel fiber bundles are possible. For OEM customers, Headwall's Raman technology enables small instruments in high volume that deliver very precise measurement accuracy. 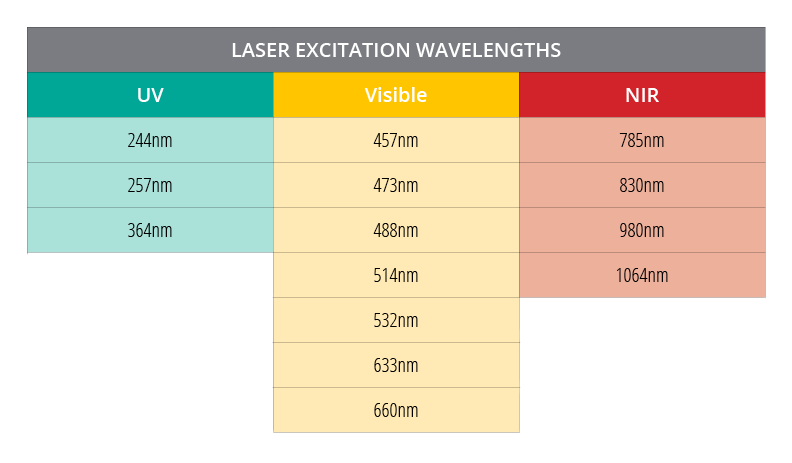 A wide range of laser-excitation wavelengths are available. The ability to chemically inspect materials based on molecular vibrations is the essence of Raman imaging. 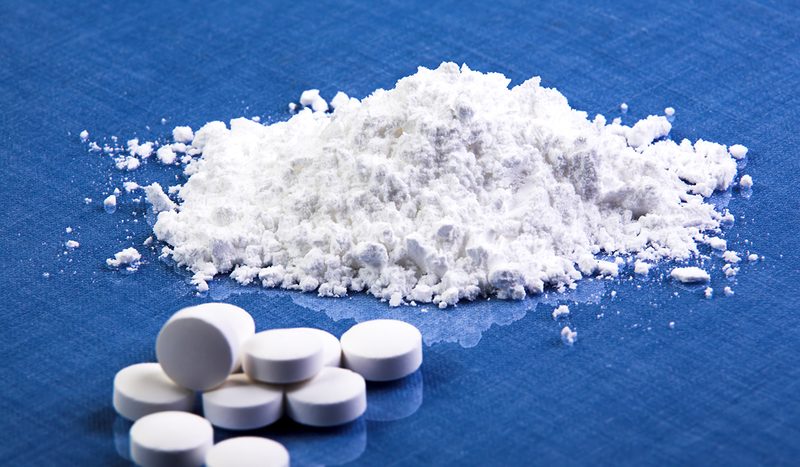 Headwall's Raman technology is applicable throughout the manufacturing process, from quality assurance to compound API identification to counterfeit analysis. 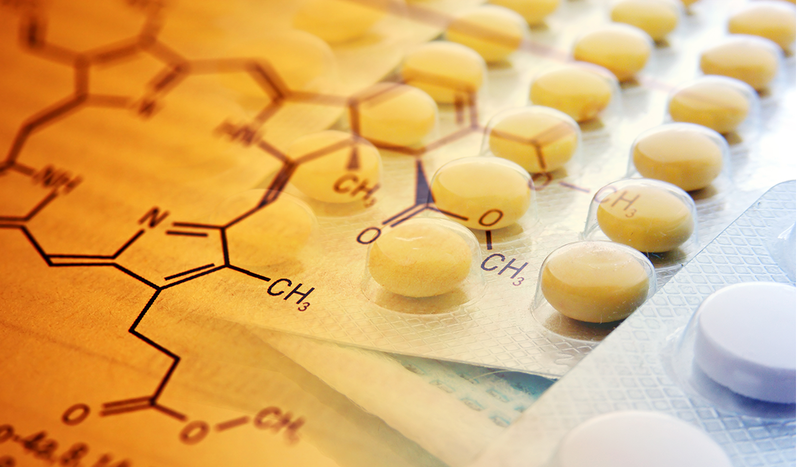 In the pharmaceutical industry, Raman technology is readily deployed in the R&D laboratory or as an in-line process analytical instrument. 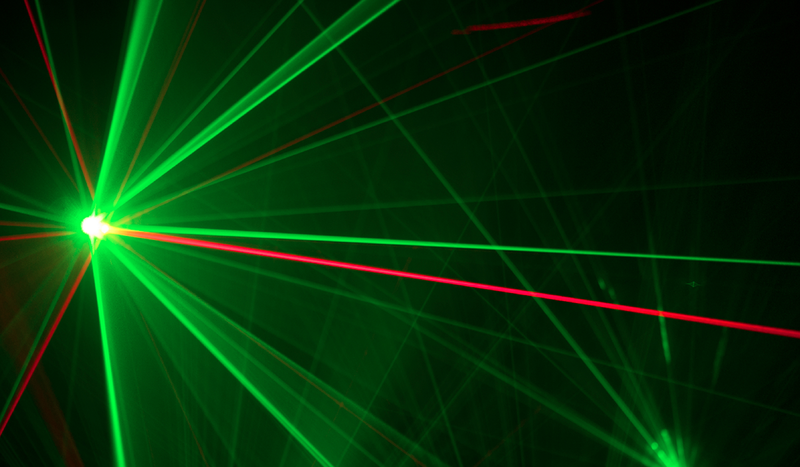 Raman spectroscopy uses visible or near-infrared laser light. With multiple entrance slits, Headwall's Raman spectrometers are unique in that multiple laser wavelengths can be deployed. With multiple slits, the Raman Explorer™ is capable of generating spectral results of 4,000 wave numbers. 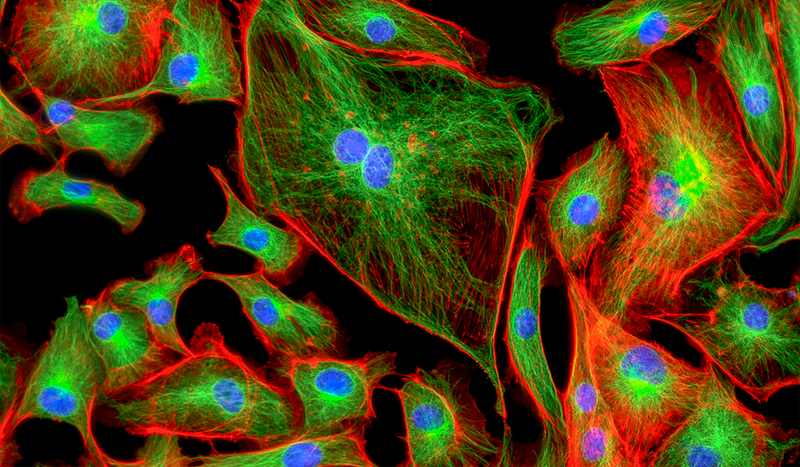 Raman imaging is critical in detecting chemical and biological threats based on analysis of small volumes of compounds and the ability to determine biological speciation. 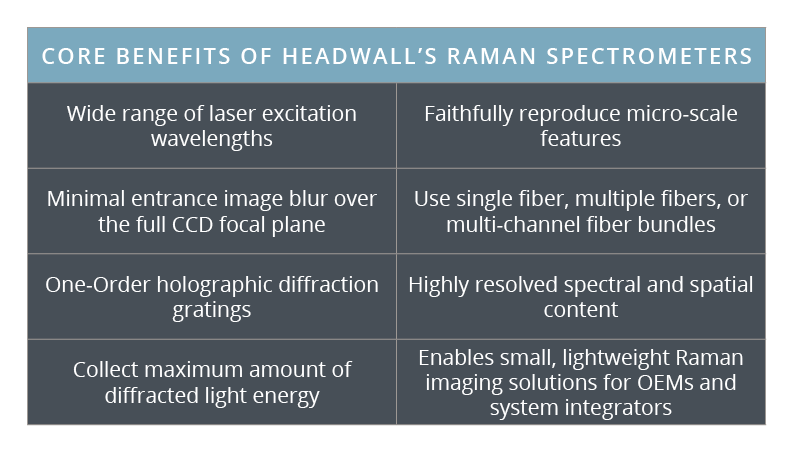 Headwall's focus on high-resolution OEM Raman solutions means that instruments can be exceptionally small and portable, with high signal integrity.